Cool new contest starts today! It’s time to win again from avast! Antivirus. Play our new “Member Gets Member” game on Facebook for a chance to win one of the season’s most desired new gadgets – a Microsoft Surface tablet with Windows 8 Pro. Along with these cool tablets, we’ll be giving away 200 licenses for avast! Internet Security. This game begins today, Tuesday, December 4, 2012, with a new round beginning each Tuesday in December. That’s four chances to win! To start, click on the “Member Get Member” tab on the avast! Antivirus Facebook page. Accept the app by providing a few pieces of information like your name and email address. Make sure you use a valid email address so we can contact you if you win. As always, your data is completely safe and will not be shared. Once you do that, you’ll see a shape with your picture in the middle. Click on a bubble to invite your friends to “Like” our page. As your friends like our page, the bubble will turn orange and you will earn points to win a cool new Microsoft Surface tablet! As you fill in a level, you earn bonus points and a new level is opened up. 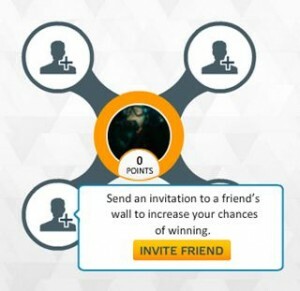 The higher the level, the higher the number of points awarded for each accepted invitation and bonus points for completing the level. That’s it. Simple and fun. So hurry up, and start inviting your friends – round 1 has just started. 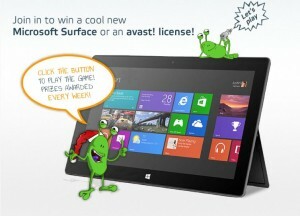 We will be tallying up the points and giving away our first Microsoft Surface tablet and 50 licenses for avast! Internet Security next Tuesday. I hope your name will be on the list!